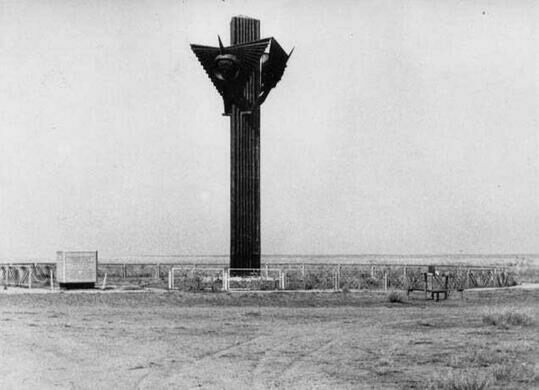 Located in the center of Kazakhstan, 16 miles of desert away from the nearest road, lies a giant, black monument that only a small handful of people have ever laid their eyes on. 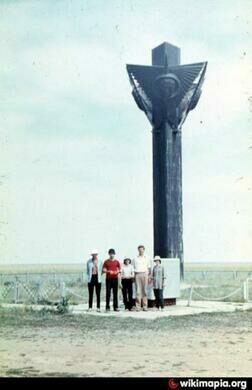 This is the Soyuz 11 Memorial. 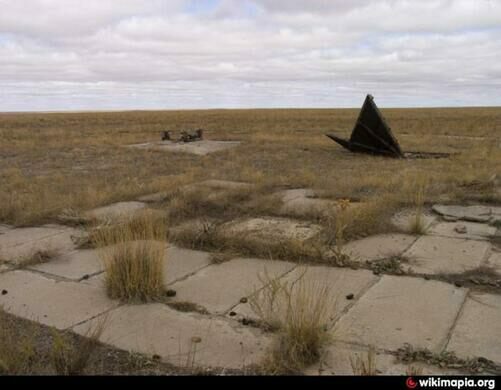 World's oldest and largest space launch facility, once a secret missile testing site. Every man who has ever lived was born on Earth — a record that it’s estimated won’t be broken until 2050. But there have been men — three, to be exact — who died far outside of Earth’s atmosphere. 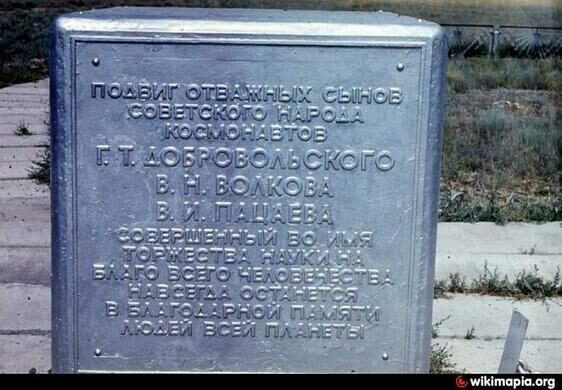 Of the 439 people ever sent into space, only 18 never made it back, and of these 18, only the three-man crew of the Soyuz 11 died in “outer space”, defined by the U.S. government as at least 50 miles away from the surface of the Earth. The Soyuz 11, a Russian rocket which launched in June of 1971, was the only manned mission to ever board the world’s first space station, Salyut 1. There, the crew set the world record for the longest amount of time spent in space, at 22 days, which was broken by the American “Skylab 2” two years later. Despite a fire on day 11 and the fact that the entire spaceship vibrated when the treadmill was turned on, the mission went well. That is, until it was time to go home. 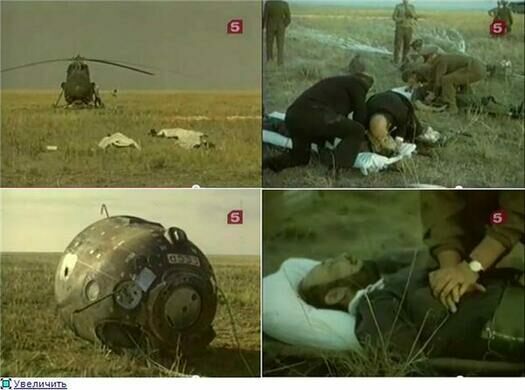 Just after leaving the space station, the three crew members died of asphyxiation. This was caused by a minor technical mistake when the two bolts linking the orbital module and the descent module were popped open simultaneously (as opposed to sequentially). This doubled the exerted force, rupturing the valve that automatically stabilized the spacecraft’s pressure. 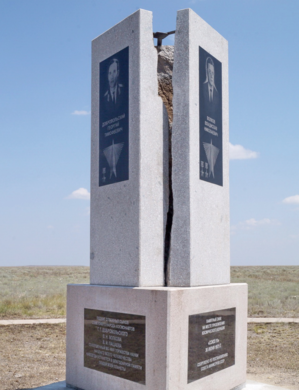 To honor their memory, at the exact location that the Soyuz 11 landed in the middle of nowhere, the Russian government built a large black monument with three sides, each engraved with the face of one of the three crew members. Constructed in 1973, it was hardly ever visited due to its remote location, but it paid due respect to those who lost their lives for the Space Race. 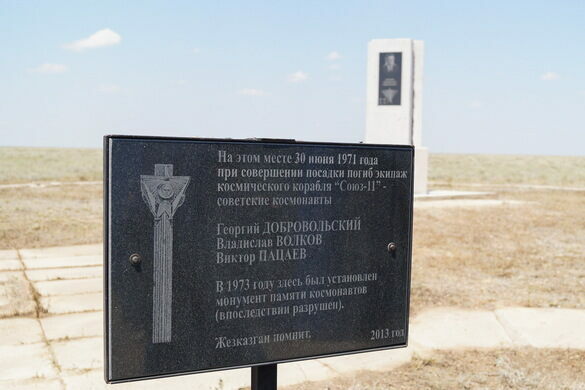 Perhaps the best way for the legacy of the crew of the Soyuz 11 to live on is in the hearts and minds of all who remember their sacrifice on our continuing journey into space.